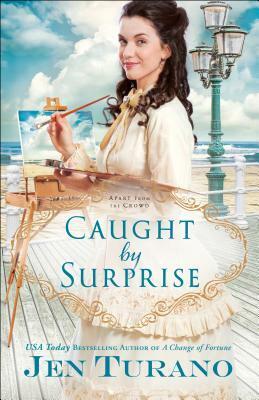 Interview ~ Jen Turner Turano, author of Caught by Surprise (Apart from the Crowd #3) + Giveaway!!! 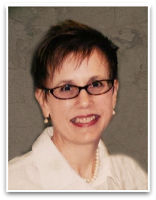 I am pleased to welcome USA Today best-selling author Jen Turano to the blog today! 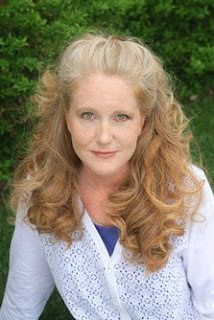 Jen is one of my favorite Christian fiction writers. She has 11 published books and another due out in January 2019. Always providing a perfect combination of cozy mystery, humor and faith, Jen's stories will bless your heart! Welcome, Jen! 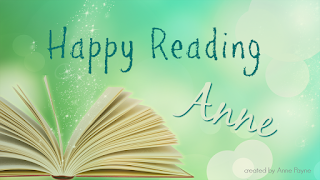 Tell us a little bit about your latest bookand why you wrote it? “Caught by Surprise” is the final book in the “Apart from the Crowd” series. 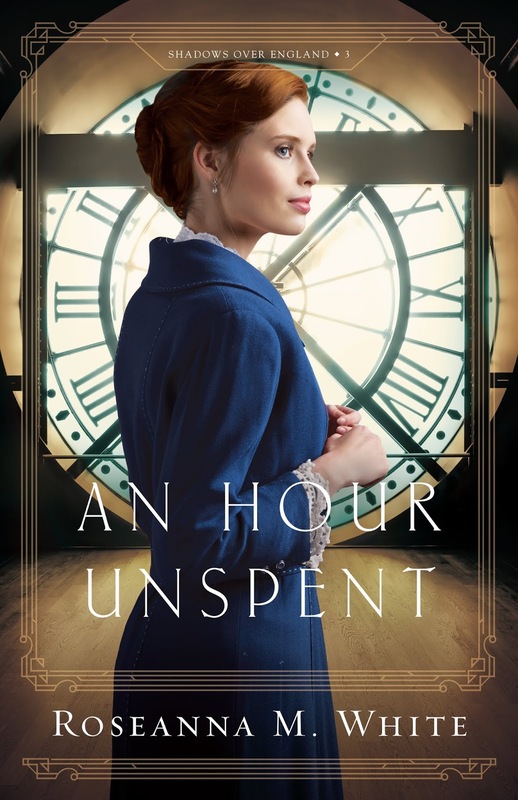 It revolves around Miss Temperance Flowerdew and Mr. Gilbert Cavendish, good friends from childhood who land in a most unusual situation, one that might require them, at least according to society rules, to marry. I’ve been wanting to do a friends to something more story for some time now. I’ve dabbled with that troupe in my two novellas, but I wanted to see if I could do a full-length novel, and…I think it turned out rather well. I never intended on becoming a writer. I majored in fashion, used to be a buyer, then turned into a stay-at-home mom when my son was born. When he was in third grade, we read this awful series about a bird. He thought it would be fun to try to write our own story, and that’s when I realized I’d forgotten how cool it was to use my brain. My early attempts were awful, but after I got some great advice from agents, some of it rather painful, I worked on the craft of writing, and eventually got to where I landed an agent. She then went out and sold “A Change of Fortune” to Bethany House, and I’ve been writing for them ever since. I only write first drafts in my office. I can edit outside or anywhere else in the house, but first drafts I have to be sitting at my desk, typing away. Do you ever wake up in the middle of the night and just have to get up and write down a thought? If so, do you keep a tablet on your bedside table or go to the computer? I don’t ever wake up in the middle of the night. 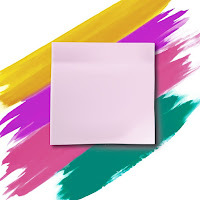 I will get thoughts at the most unusual times, like in the grocery store, so I will send myself a text, or if I’m cleaning, I always have post-it notes handy to scribble down ideas. Do you talk to your characters? Keep story boards? Pictures? I do talk to my characters, normally when I’m out walking – tends to have people giving me a wide berth. I do keep story boards, but I don’t do pictures, that just messes me up. 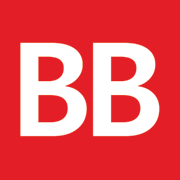 Can you give us a glimpse into your next book or story idea? 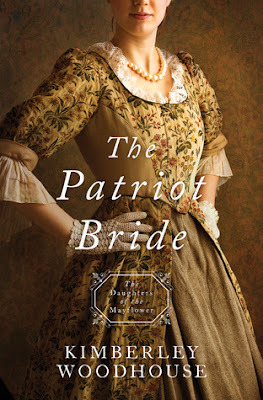 My next series is an American Heiress series. 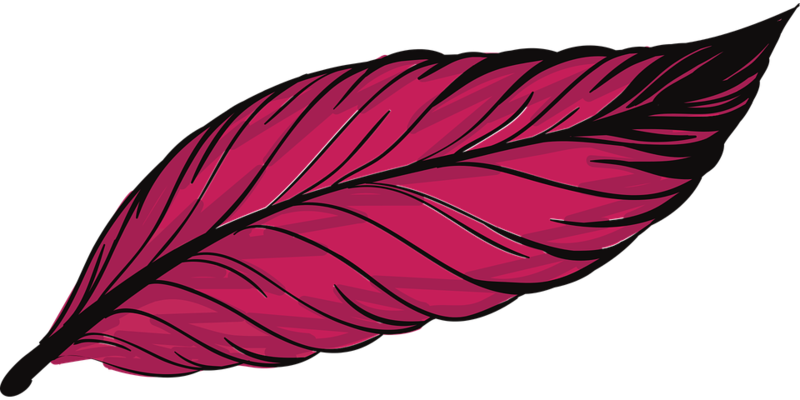 The first book, “Flights of Fancy” will release January 2019. I just turned in the second book in that series, currently untitled, and next I’ll be writing a novella about the Harvey Girls that will feature other Bethany House authors. In your spare time, do you have any hobbies you enjoy? I’m very social, so when I’m not writing, my husband and I enjoy meeting friends out. I used to do cross-stitch, but I haven’t done that in years. My eyes just get too tired from being on the computer so much these days. 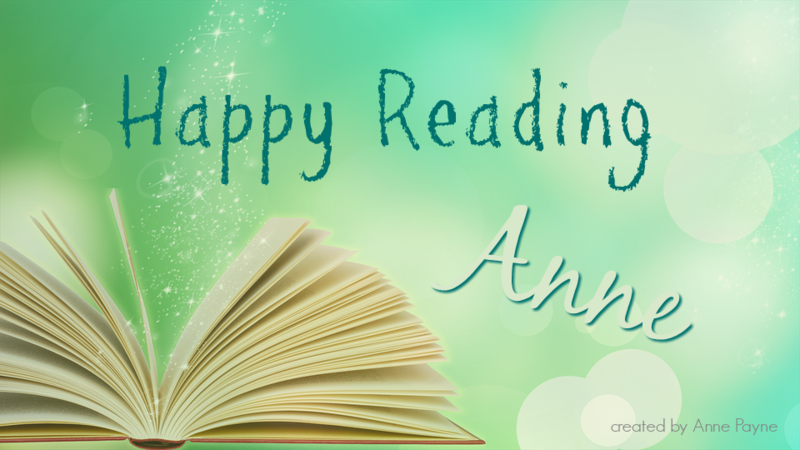 Do you have a favorite book? What makes it stand out from others? 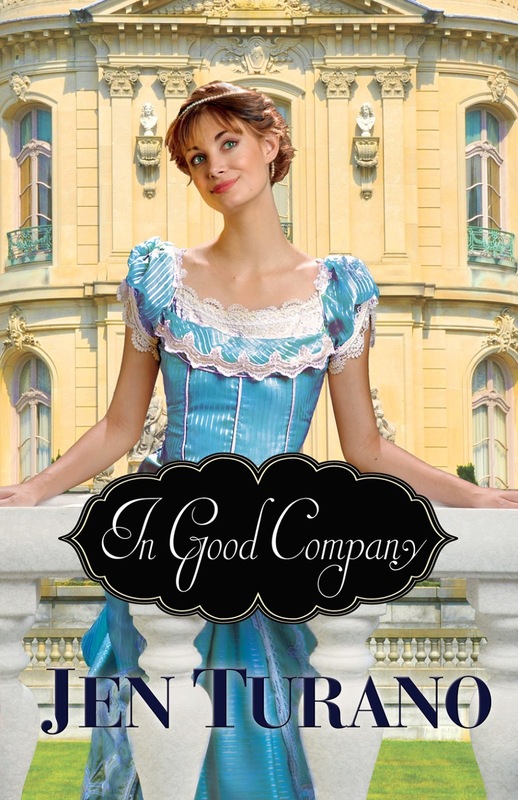 I’ve always said that “In Good Company” was my very favorite because I adore Millie Longfellow, but “Caught by Surprise” seems to be turning into my favorite. It’s just so out there, what with all the outlandish situations, that I can’t help but love it. What’s the one food item you can’t live without? I love cereal – Cheerios is my absolute favorite. And I have a twitter account – JenTurano@JenTurano – but I’ll be honest, I sometimes forget I have twitter. 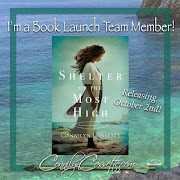 Is there a question you would like my readers to answer in order to be entered to win a copy of your book? 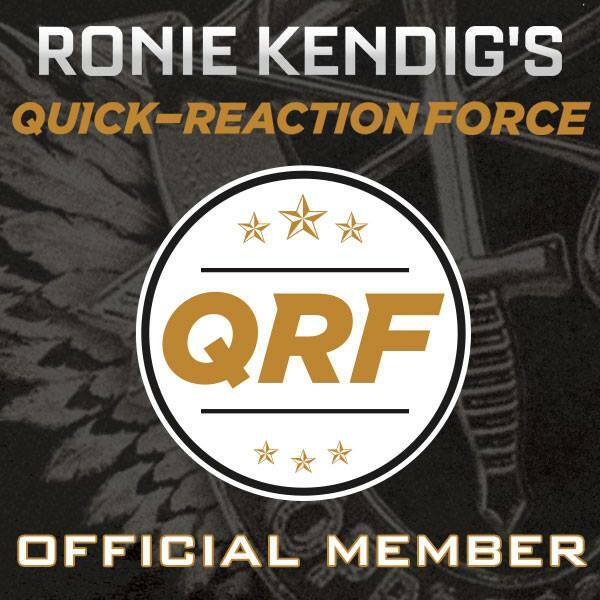 Was there ever a time when something caught you by surprise? 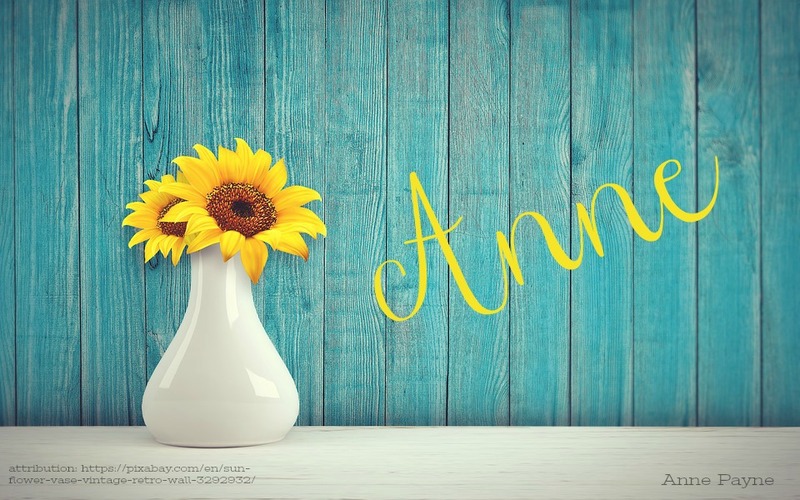 Thanks so much for having me on your blog, Anne. Too fun!! -- along with how you follow Stuff & Nonsense and a winner will be chosen using Random Number Generator on Oct 2. US Only due to postage costs. 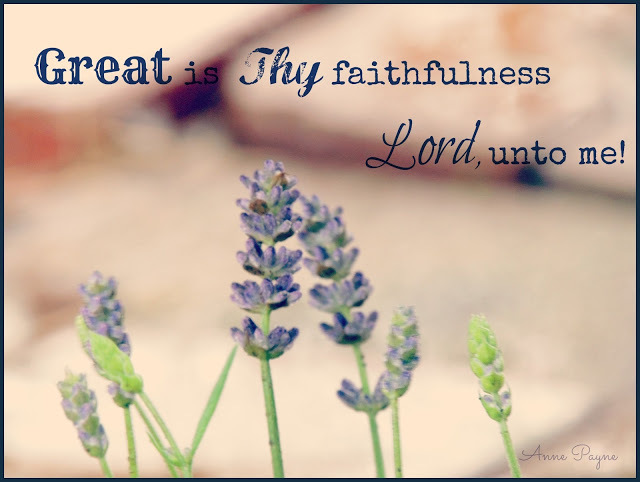 **Lavender and brick makes a perfect backdrop for this inspirational graphic inspired by the hymn Great is Thy Faithfulness. It was written by Thomas Obadiah Chisholm and published in 1923. I marvel at the timeless truths that are embodied within this hymn and wonder if Thomas had any idea when he wrote it that it would still be such a powerful verse 90 years later. As I contemplate the majesty of the Lord displayed in creation and conveyed in this hymn, I stop and soak in His presence. Singing these words penned so long ago brings me peace; He is strength for my weary and grief stricken soul. Each day I arise, His mercies are new. I worship Him, for He is my Rock, my Fortress, and my Lord! Note: All is well here in coastal VA. Hurricane Florence stayed south and did not affect us as anticipated. Our thoughts and prayers are with all those that have been impacted by the storm. What do you know about Esther? . . .the beautiful Queen of Persia? . . .the woman who hid her Jewish heritage from the king? . . .the courageous one who risked her life to save her people? Journey along with Esther in a luxurious Persian palace, in the presence of a powerful king, in the very center of God’s amazing power! This biblically accurate story of Esther, created just for the kids in your life, explores the life of the beautiful Queen of Persia, while drawing 8- to 12-year-olds into a fascinating time and place as they learn about the woman who hid her Jewish heritage from the king and ultimately risked her life to save her people. 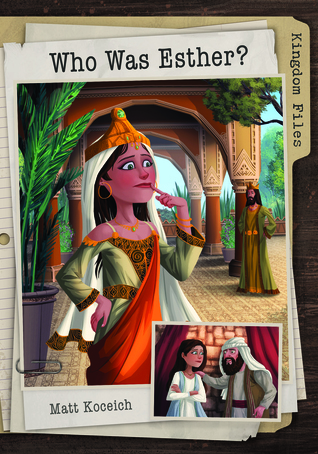 Featuring three key sections—a Fact File, an Action File, and a Power File—kids will enjoying learning about the life of Esther while coming to understand that an ancient Bible story really does apply to their lives today. Dozens of captivating line art pieces add depth and interest to every chapter. The story of Esther has always fascinated me. 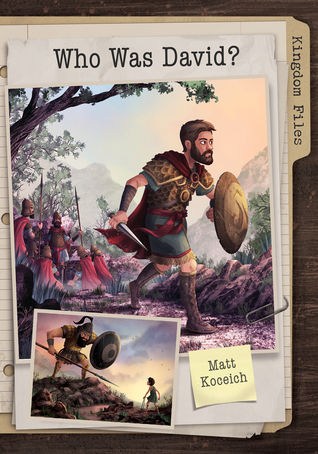 Koceich has done a great job making this condensed version rich in detail and characterization easy to read and understand for children ages 8-12. The story flow is smooth and intriguing with plenty of room for notes and questions to be jotted down throughout the book. Quality time can be spent with your child investigating and delving deeper into the story in God’s Word, and if you have an artistic child, maybe even creating their own illustrations. It would make a great supplement for a home school Bible study curriculum as well as a take-home resource for youth Sunday school attendees. I received a copy from Barbour. No review was required. No compensation received. This book is targeted at children ages 8-12 but younger readers could handle the narrative too. Home school children and tactile learners might have fun making props to go with the story. My sons would definitely have been trying to make the weapons when they were that age. It could also be a resource for putting on a small play in Sunday school. I expected this one to be as interesting as Who was Esther?, but the storytelling seemed snail-like and the illustration of David bothered me. I have never visualized him as having blonde hair and a blonde beard. Aside from that, the Power-Up section is great! It has encouragement and memory verses and room to write down a few thoughts. GIVEAWAY HAS ENDED DUE TO HURRICANE FLORENCE AND EVACUATION IN MY AREA. Praying God's protection for all in the path of this storm! Thanks for the interaction and great recommendations for suspense novels!!! Trixi, I am emailing you and Rebecca. When her twin sister was murdered, Murphy Anderson changed her name and appearance and moved to Kodiak to avoid the press and publicity. But when local authorities discover she’s an artist and request her help in drawing a dying man’s memories, she unintentionally ends up in the limelight again—and may be back in the killer’s crosshairs. The memory that Murphy was asked to draw was from an Alaskan hunter who discovered five bodies on remote Ruuwaq Island ten years ago, but has only shared the information with the police now that he’s dying of cancer. When they go to the island to investigate, no skeletons remain but there is evidence that the bodies may have been deliberately destroyed. But the big discovery is of a World War II Quonset hut. "You can't trust him. You can't trust anyone . . . . You have a mission." Memories are a funny thing; some are quite trustworthy, while others may present themselves as a "formula of deception". Murphy Anderson finds herself caught in between, as bewildering flashbacks handicap her ability to recalibrate her life in Kodiak, Alaska following the heinous murder of her twin sister. Posing as a forensic artist, Murphy is pulled beside the deathbed of another Alaskan who is forcing painful memories to the surface. 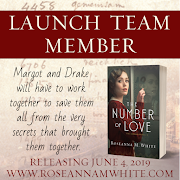 Capitalizing on her artistic abilities, his trail of sketchy details leads the crime team to the remote Ruuwag Island, where a rather routine search for clues turns into a labyrinth of evidence so volatile that everyone who comes in contact is promptly eliminated. Deemed a "soul searcher" by the natives, Murphy's unique skill for gathering details has placed her squarely in the crosshairs of those who are carefully guarding their secrets. So many questions. And so few answers. 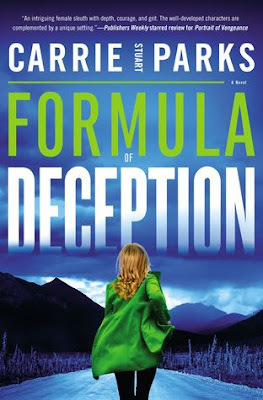 This thrilling novel by Carrie Stuart Parks has more twists and turns than an underground cave, and its readers will be awestruck when they discover how she fits it all together. Unice has down-to-earth practical advice about life and how to live the new one we find in Christ. 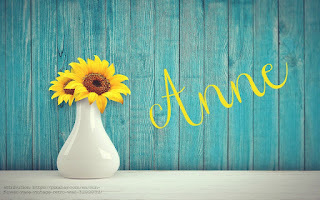 By her own example, as well as from people she knows through her ministry, she shows us how to go forward in the new, and not turn around and embrace the old. I am suitably impressed with her insight and articulation as I have not heard of her so obviously this is the first of her books I have read. 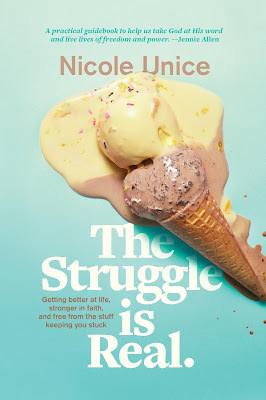 Her website says she is a pastor/teacher/counselor and I can certainly see the counseling aspect in The Struggle is Real. I gained some insight into my own past experiences that will help me in my future walk with Christ. I recommend this book to anyone who is struggling and might not be ready to talk to someone face-to-face. The words of inspiration and truth in this book can help you in your faith journey and point you to who Jesus is and how he has bestowed his grace in your life. I was provided a print copy of the book from the publisher. I was not required to write a review. No compensation has been received. 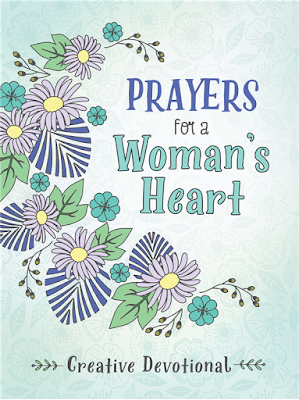 Color yourself creative with the Prayers for a Woman's Heart devotional. Fifty-two heartfelt devotional-length prayers complemented by fifty-two unique coloring pages on quality stock will encourage and delight your soul through beautiful design and refreshing insights. As you read the weekly prayer, meditate on the scriptures, and unlock your creativity, you will be drawn to experience an intimate connection to your heavenly Father. 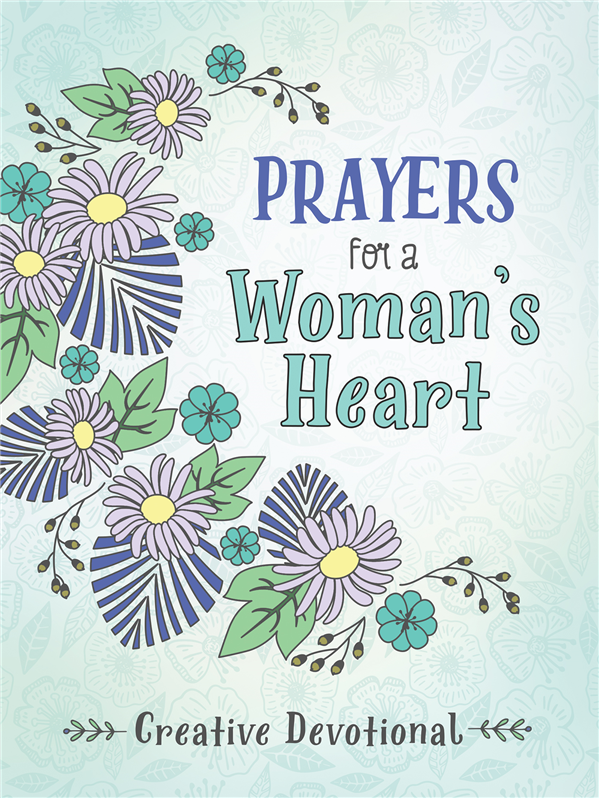 The Prayers for a Woman's Heart Creative Devotional will enhance your spiritual journey as you come to know just how deeply and tenderly God loves you. What I enjoy best about this devotional are the prayers. I find myself extremely moved by them as they are quite similar to ones I have penned in my own prayer journal. The bonus is the coloring sheet to go along with them. 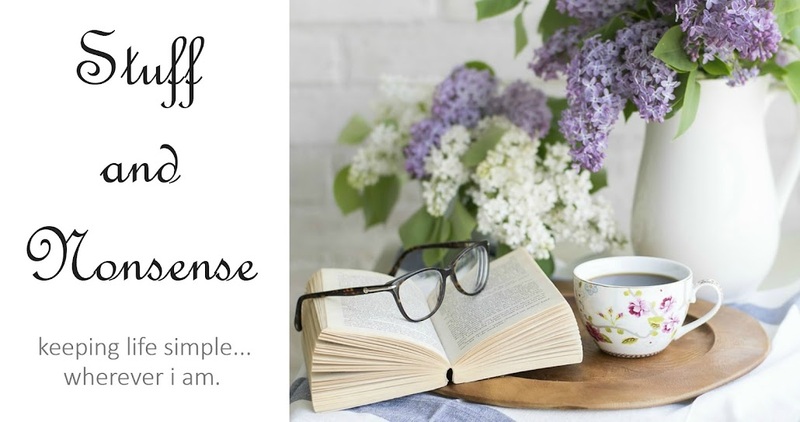 You will find the pictures are pretty and feminine and enjoyable to color as you ponder the prayers and perhaps even lift some of your own up to our redemptive Lord of hosts. As always, devotionals are not meant to take the place of daily Bible study but to enhance what you are already doing. I am inclined to believe this particular devotional would make a great gift for someone who is struggling with their prayer life, or even questions how to pray. A non-believer would benefit by seeing the simplicity and normalcy of prayer. No fancy words. No difficult format. Just an honest heart speaking to God with respect and love. I received a digital copy of the book from the publisher through Netgalley. I was not required to write a review. No compensation has been received. 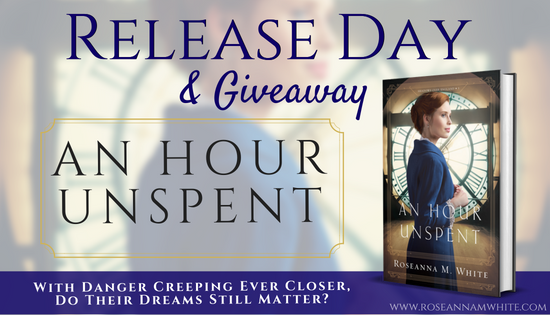 Click here -- Roseanna White -- to hop on over to Roseanna's blog to read all about the Giveaways and more!